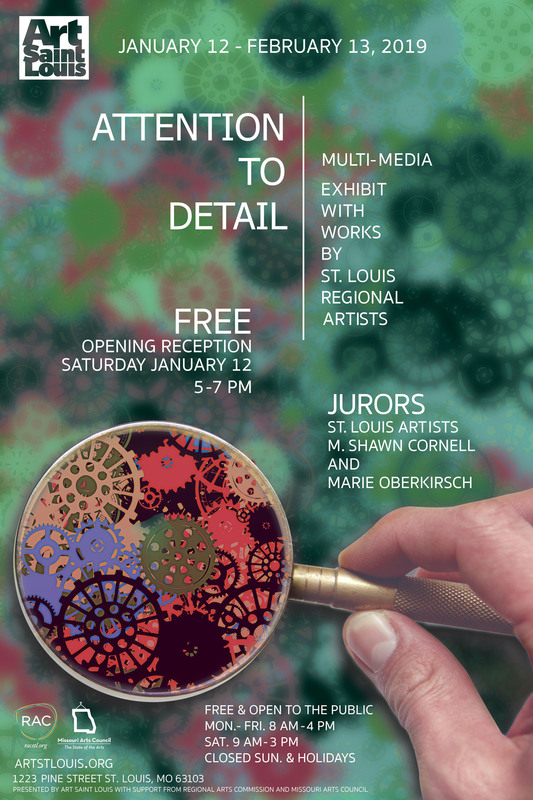 Art Saint Louis features 50 St. Louis regional artists’ works in our new exhibit, “Attention to Detail” on view January 12-February 13, 2019 in our downtown St. Louis gallery at 1223 Pine Street. FREE M-F 8-4, Sat. 9-3.